Fits: Celestron 8" (20 cm) f/10 SCT with Fastar secondary and EdgeHD optics. 1. These knobs will fit only the Celestron 8" SCT with Fastar secondary and EdgeHD optics. These telescopes are marked "EDGEHD OPTICS" on the corrector ring. 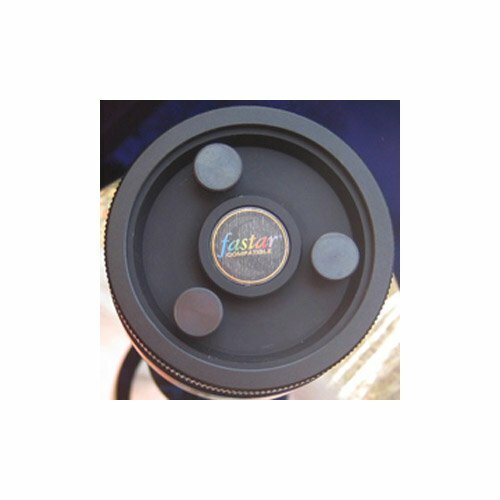 Do not use these knobs on the non-EdgeHD Fastar secondary; the screws on these knobs are too long. Be sure to check that the thread length on our knobs matches the thread length on the factory collimation screws. A perfect fit. Made collimating much easier. Review by Ford322 of Redondo Beach, CA. Replace the phillips head screws with these knobs. Fingertip collimation with no tools. Easy to use in the dark, with no danger to the corrector plate. These should be standard equipment.